Six Days To LEGO Left Shark? Not Bad. It's easy to crank out a next-day t-shirt for a major Super Bowl happening, but assembling bricks in the form of the only part of Katy Perry's halftime show that matters takes time and patience. 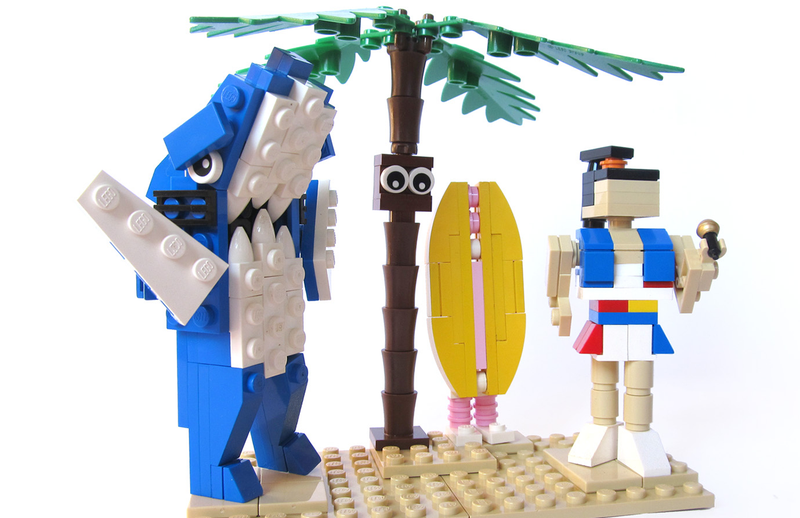 Our friends over at The Brothers Brick took a different route with their Left Shark coverage this year, so LEGO builder ConradoPLG stepped in to pick up the slack. His rendition of Katy and Left Shark should be easy enough to replicate, and the use of pink bits in the dancing surfboard is quite inspired. If you need to make Right Shark, I don't know what to tell you. I guess just try to build Left Shark, but leave out the charm and can-do spirit. Hit up ConradoPLG's Flickr stream for more awesome anime, cartoon and gaming builds. And before anyone suggests I'm snubbing Missy Elliott, note that I said "Katy Perry's halftime show." Once Missy took the stage, that show was all hers.